Some people follow singers and bands, but it takes a special kind of obsessive to follow a record label. Small indie record labels were willed into existence as a result of major label complacency; they were a necessary presence, a revitalising shot in the limp arm of a dying, overblown music industry back in the seventies. What the founders of these labels lacked in experience and business savvy, they more than made up for in enthusiasm. Some of my favourite bands came to me as a result of indies. The Smiths, The Jesus And Mary Chain, Nirvana, Juliana Hatfield, Pixies, Throwing Muses, and too many others to mention. Even Betty Boo via Rhythm King! These labels are mother, father, money, love and hate for bands. But mostly, they’re taste makers. If my favourite labels sign a band, chances are I’m going to like that band. All the really good independent record labels curate their roster carefully. Good indie labels have a strong visual identity. I continue to support these labels in the best way possible: by spending money on their output. Here are three of my favourite labels and an act signed to their respective rosters. For obvious reasons, I’m not going with the more well-known labels such as Sub Pop/Captured Tracks, or 4AD. A record label and a record store, they’ve signed an array of AMAZING garage rock bands and weirdo pop performers including Ty Segall, Cherry Glazerr, and Seth Bogart among others. My favourite is Miss World. She’s a kitschy queen of trash bubblegum pop who looks like the star of a John Waters movie that hasn’t yet been made. Her debut album Keeping Up With Miss World is brilliant. Michael Kasparis (whose vinyl red jacket is something to envy) has spent years using Night School Records to put out brilliant albums, including Young Guv’s mighty 2 Sad 2 Funk. Really, that album should have been #1 in all the charts. 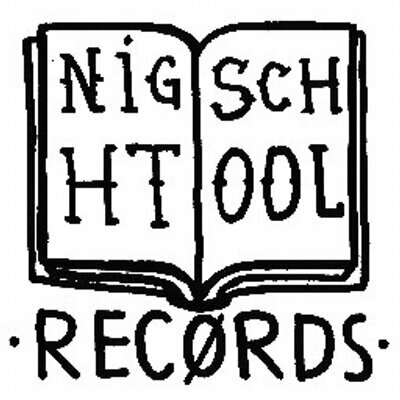 The really great thing about Night School Records is that their music is coherent enough that you can listen to a song and think… “That sounds so Night School,” though their releases consist of avant and punk disco, rock, pop, and all sorts of sonic oddities. Visually, their branding is confidently quirky. They probably have the best logo in the music industry. Patience (think the Scottish version of Annie or Robyn fae Glesga), Golden Grrrls, Young Guv, Rose McDowell, Molly Nilsson, and Sally Dige have released music through Night School. Do you like your electronica idiosyncratic and obtuse? Do you like mental instrumentals? Do you prefer your artists to use lo-fi photography as press shots? HURRAH. Not Not Fun is the record label for you. They’re defiantly DIY and – yes – their releases are all strongly branded with the colourful Not Not Fun visual stamp. They’ve been putting out ambient, experimental pop for years and have at least one classic album in their back catalogue. The Integration by LA Vampires and Maria Minerva isn’t just a record from two artists at their creative zenith, it’s an indie corporate merger of sorts. Both artists have unique viewpoints that they bring to this lost classic. Ta very much Not Not Fun! I’ll revisit this topic again in the near future with a list of indie publishers I really like, if only to try and get them some sales. The owners of these businesses (and running a record label/publisher IS a business) must name their hernia after failed records and unsold books piling up in the garage.